Mr Yukawa. The man, the myth, the legend. But who was he, really? 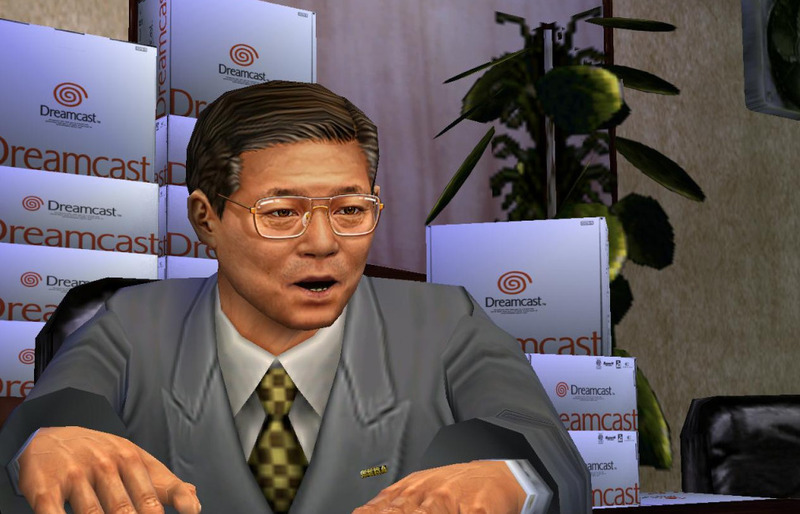 Well, Hidekazu Yukawa was the senior managing director of Sega Japan during the early part of the Dreamcast's reign, and he was used as the main character in a fairly successful series of TV adverts. You can find them all on YouTube, but the TV commercials in question tell the story of Sega's boss on the eve of the Dreamcast's launch, where he is besieged by thoughts of self doubt and nightmares of the console's failure. He is harassed by children who want PlayStations instead of Dreamcasts, and even gets beaten up at one point. 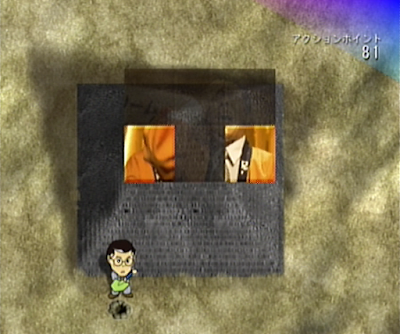 Naturally, Mr Yukawa's fears are allayed when the Dreamcast becomes a success and everybody lives happily ever after. The series of TV ads catapulted Yukawa into semi-stardom in his native land, and his image was used on Dreamcast console boxes and in print adverts, such was his popularity. What you may not know is that he also starred in his very own game on the Dreamcast - Former Managing Director Yukawa's Treasure Hunt. 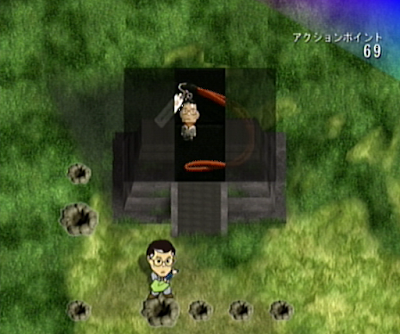 Yukawa did actually have a cameo appearance in What's Shenmue too, but Treasure Hunt was his own game...if you can call it that. The whole Yukawa saga is pretty interesting if you look into it, and it's not the first (or last) time a member of a company's board/management staff has been used as a figurehead for an advertising campaign. Look at Richard Branson's almost ubiquitous presence in Virgin's advertising, or Sir Clive Sinclair's appearances in the marketing for the eponymous Sinclair Spectrum or Sinclair C5. Actually, the less the said about the latter, the better. I guess what I'm saying is that using a familiar face to flog stuff to the masses can be a good idea, provided the character is likeable..and Mr Yukawa is nothing but. So what's all this Treasure Hunt business, then? Well, during a three week window between 20th March and 11th April 1999, Sega Japan ran a promotion where Dreamcast owners could win an array of Dreamcast branded tat. However, entry to the promotion wasn't via a quiz or postal entry...it was via Yukawa's Treasure Hunt. 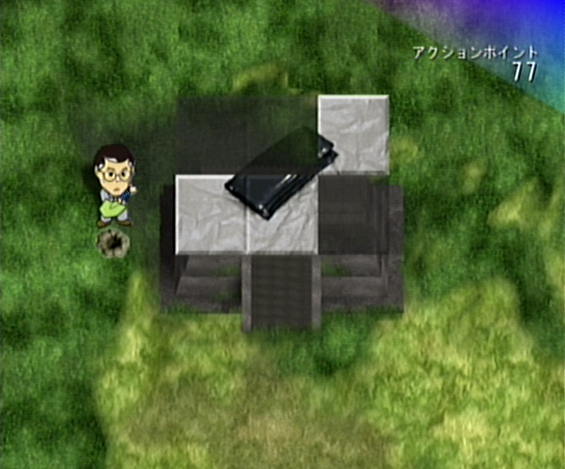 The 'game' is a fairly basic piece of software where you simply walk around a rudimentary landscape as Mr Yukawa and dig up buried tiles that make up images of Dreamcast merchandise (and other random things - more on this in a moment). Using a trusty shovel, you must guide Yukawa around and have 100 attempts to dig up as much buried stuff as possible and once all of your 'digs' are used up, submit your claims to Sega via an online component. These items appear to range from key rings, VMUs and money boxes, to Dream Passport discs, keyboards and Dreamcast consoles. 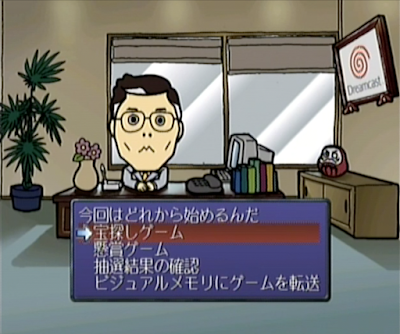 Furthermore, you can find images of random items like Mr Yukawa's glasses, car keys and various still images from the TV adverts. Quite what these items would yield if completed is anyone's guess and most of what I'm saying here is speculation as there's precious little information online regarding how prizes could be claimed. There also appears to be a cash prize offered too, with '10,000' mentioned several times on the back of the manual and on the stand up promotional board I have. 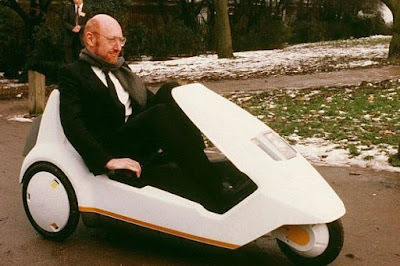 In my quest for further info I did read Segagagadomain's entry, and also watched SegaCDUniverse's YouTube video on it...but they don't really throw any more light on the oddness of the promotion. Do you have any of the merchandise depicted in the game? Did you win the ¥10,000 prize and spend it all on booze and drugs? If so, let us know in the comments or in our Facebook group. Lastly, if you want even more info on Mr Yukawa, check out Giant Bomb's profile of the great man here.